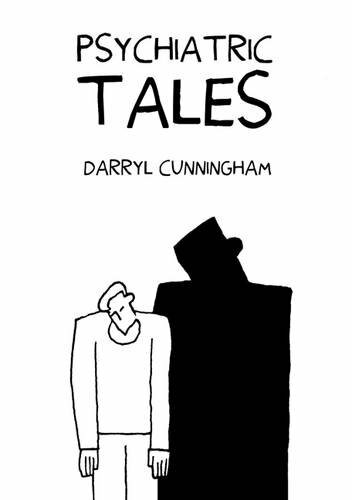 Psychiatric tales er en liten svart/hvit tegneserie av Darryl Cunningham. Som tittelen avslører handler denne tegneserien om ulike psykiske lidelser. 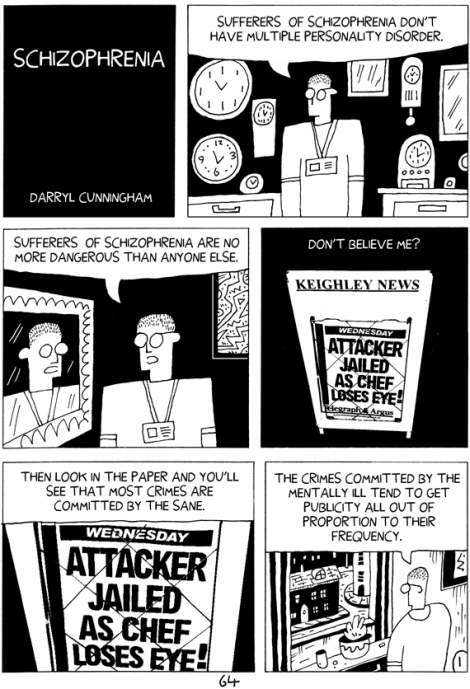 Mental illness is a subject full of fears and misunderstandings. When faced with things we find difficult and distressing, most of us look away. Darryl Cunningham has both worked inside the psychiatric care system and suffered his own struggle with mental ilness. Out of these experiences Darryl has created this book as an attempt to demystify such diverse illnesses as dementia, bipolar disorder, schizophrenia, and depression. Psychiatric tales opens the world of the acute psychiatric wards to show the very human struggles of the people within. People who could be our neighbours, siblings, parents, employers, and even ourselves. At times harrowing, but always deeply human. This graphic novel will open your eyes to the pain of sufferers, but also the hope and recovery found by many. Baksideteksten forteller det meste en trenger å si om denne boken. Den er sterk, nydelig, tøff og fin. Alt på en gang, og den viser oss verden innenfor veggene på psykiatriske sykehus. Den forklarer også noen av omstendighetene rundt psykiske lidelser.